How cool is this? There is a group of people that hang out at Mar-a-Lago all the time to try and catch a glimpse of President Trump. 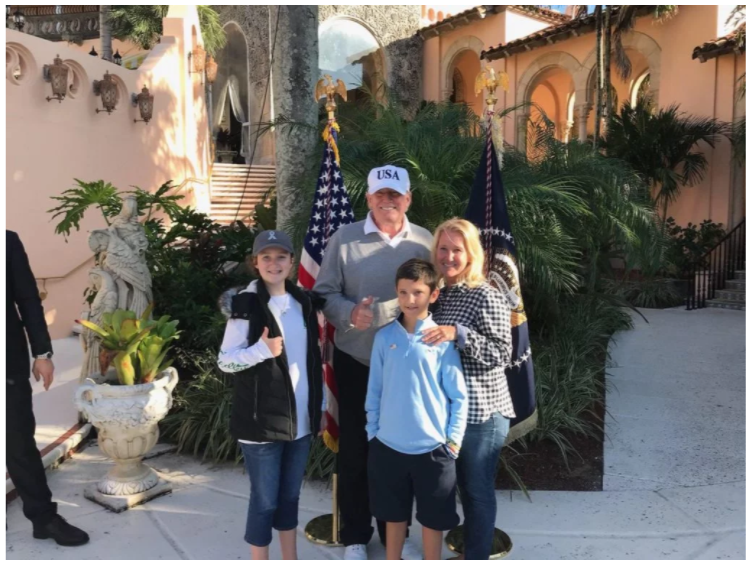 Before Trump celebrated New Year’s Eve at the Winter White House in Florida, he of course played a round of golf. His motorcade whisked him back to Mar-a-Lago to prepare for the festivities to come. 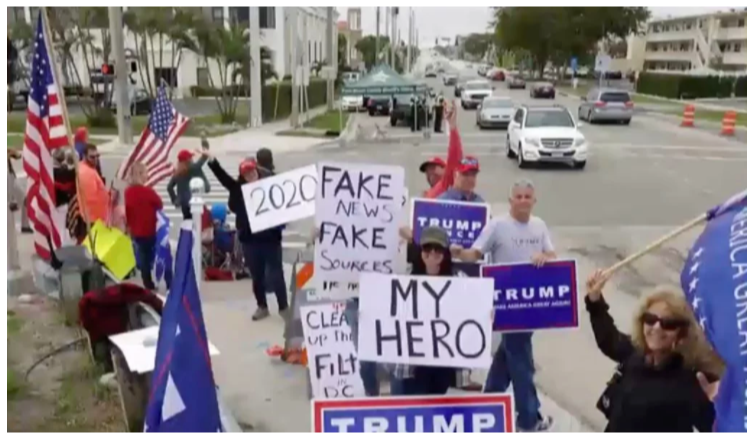 When they drove up to the resort, President Trump noticed this group of people who were devoted supporters of his standing outside, lining the street with signs and smiles. They were waving and watching him go by. According to The Palm Beach Post, approximately 20 minutes after the motorcade passed, two white vans returned and a man emerged with an invitation for the supporters to meet the President of the United States. You can imagine the shock and happiness that swept the group. One guy said he wished he had not worn sweats that day. He never dreamed he’d be meeting President Trump. What an awesome thing to do for these people. “It stunned me,” Mike Sims told the Post. “I didn’t know what to think.” I’ll bet. I would be floored as well. 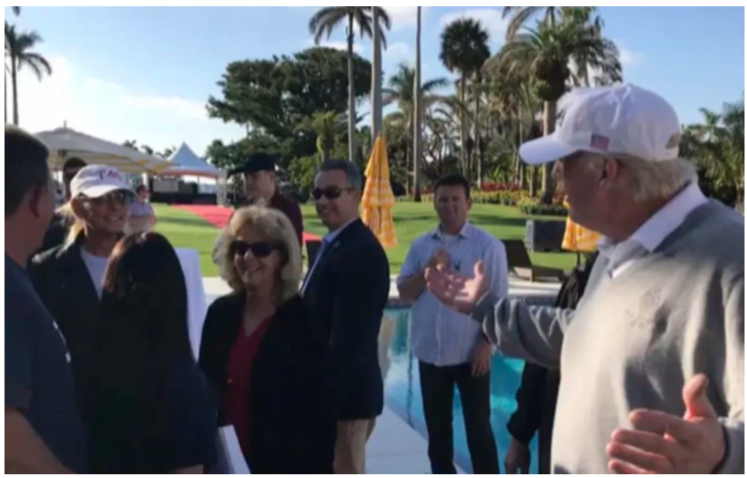 Sixteen supporters were driven the rest of the way to Mar-a-Lago, where they underwent a security sweep by the Secret Service before a 90-minute visit, which included a photo-op with Trump. “He couldn’t have been more down to earth,” Mary Tulko explained. “He was just really nice.” I’m sure he was… Trump strikes me oddly as a down-to-earth guy… a really rich and famous one. Trump’s surprised guests were also treated to snacks and a history lesson about the estate given by none other than Trump himself. 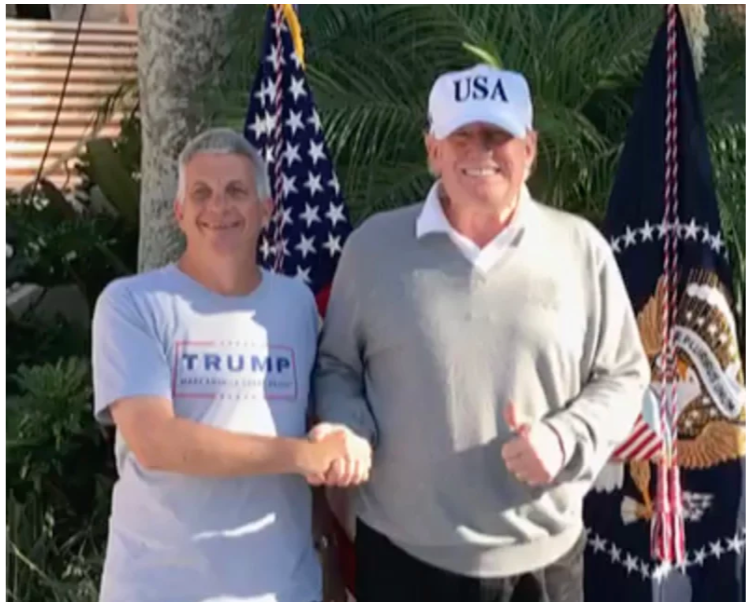 Donald Tarca Jr. told Fox News’s “Fox & Friends”: “I was honored that the President, the most powerful man in the world, noticed us and invited us back. It was mind-blowing, and it is a day that this ‘deplorable’ will never forget, that we the people do matter.” Trump is a loyal man and values loyalty as well from supporters. This was his way of acknowledging that. 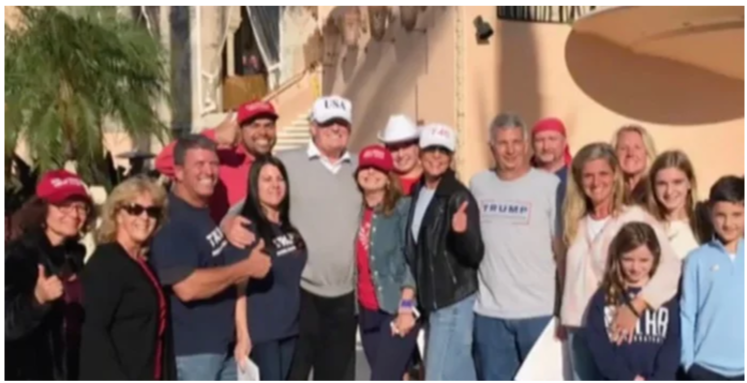 Tarca added that they weren’t invited because they’re “famous or big donors.” Instead, “The Trump Squad” was given a tour as an acknowledgment of its repeated support on the street. “We the people do matter,” Tarca declared. You would never see this with Hillary Clinton or even Barack Obama. And when you get right down to it, this is what won Trump the election. That was an invitation of a lifetime and it will add to the Trump legacy. And it cost Trump nothing at all, but his time and caring. I think it was a fantastic thing to do.